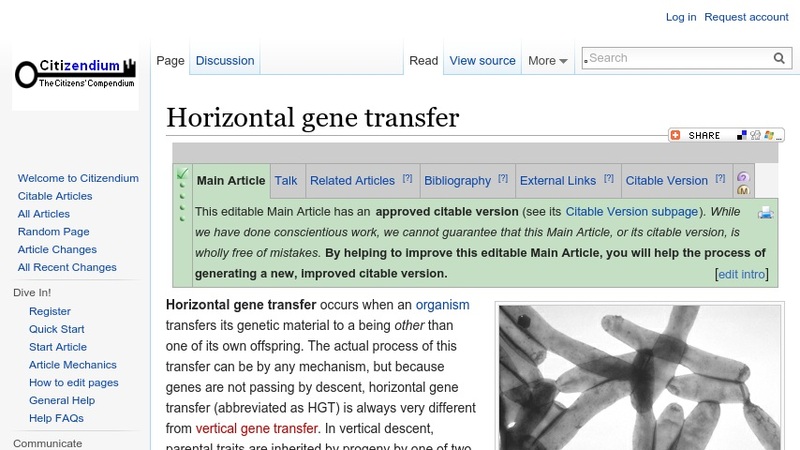 This Citizendium article offers a comprehensive review of horizontal gene transfer (HGT). Topics include main features of HGT in nature, HGT in prokaryotes, HGT in eukaryotes, history and discovery of HGT, and decoding the tree of life from genomes scrambled by HGT. The image-rich text includes a list of related articles, a bibliography and external links of interest.